Quesadillas are normally associated with Mexico as tortillas with melted cheese. 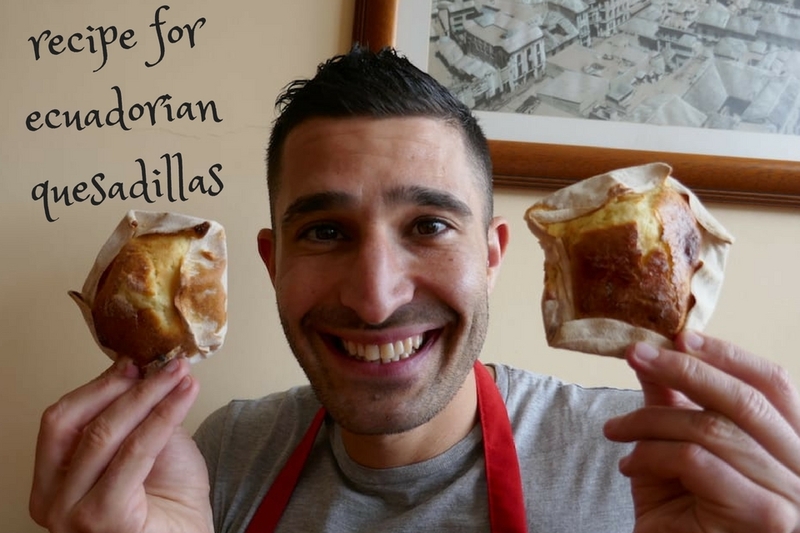 In Ecuador, quesadillas are a pentagonal shaped pastry filled with both sweet and savoury flavours, similar to Portuguese queijada, which also has a sweet/savoury crumbly cheese filling. 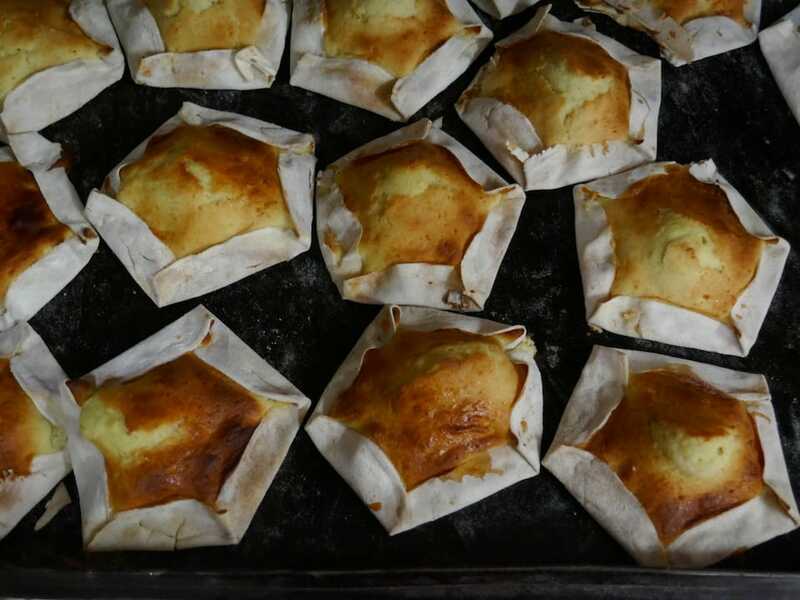 We learnt to make these treats during our foodie tour with Urban Adventures in Quito. 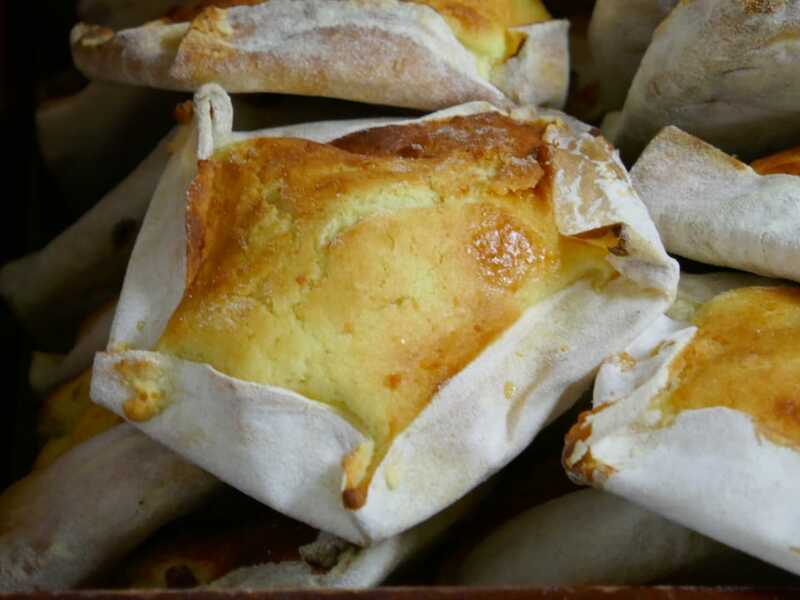 They are a popular breakfast treat made fresh at the Panaderia y Pasteleria de San Juan bakery (located at N13-140 Deifilio Torres) and sold throughout the city. 1. Pre heat the over to 180 degrees centigrade. 2. In a large mixing bowl, combine 250g of flour with half a teaspoon of salt. Add the 3 large eggs and mix using a fork until the dough forms a stick bowl. 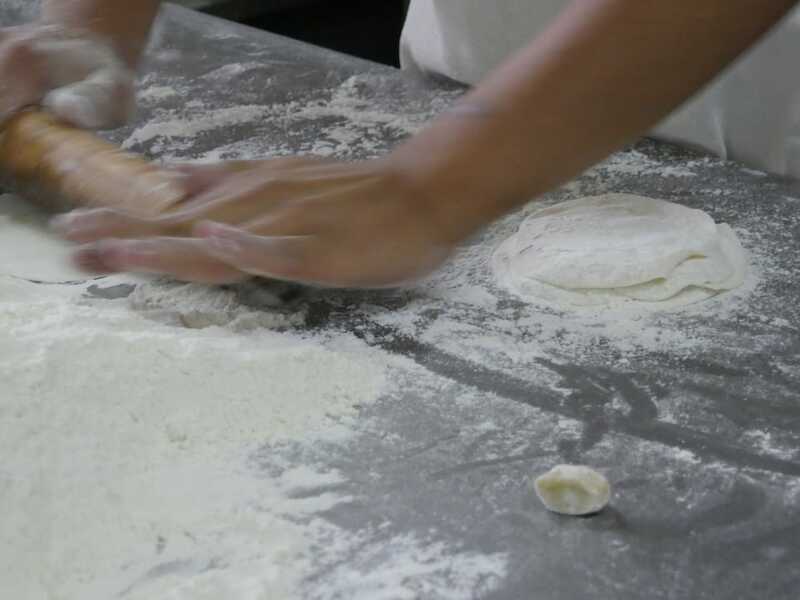 Then knead on a well-floured surface until it's smooth and elastic. 3. Leave the dough aside to rest for around 10 minutes. 4. On a floured surface, prepare the base for the quesadillas from the dough (also called tortillas). To do this, roll the dough into a long cylinder shape, a few centimetres thick. 5. Cut the rolled out dough into 1 inch long pieces, which should result in around 10 pieces of smaller dough balls. 7. 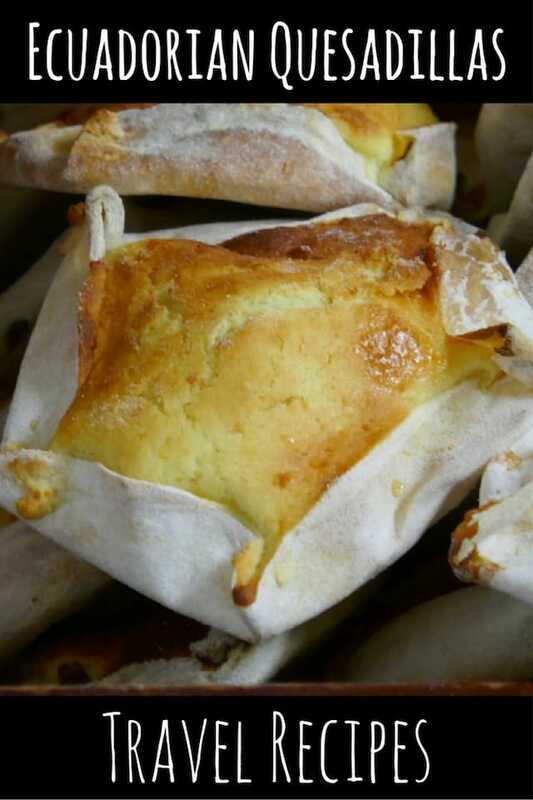 To make the pastry filling, whisk together the cream cheese and 1 egg yolk. Mix in the sugar, flour and salt until it is thoroughly combined. 8. Place a large scoop of filling in the centre of the rolled out dough tortillas and spread out to the edges, keeping a majority of it in the centre. 9. Bake the quesadillas for around 10 minutes at 180 degrees celsius until they're golden. Keep checking every 10 minutes, using a toothpick: pierce with toothpick and if it comes out clean then it's ready. In some cafes in Quito, the quesadillas are served with hot chocolate and mozzarella. Strange idea at first, but it's actually a delicious snack worth trying out. The Frenchman loves his cheese, but the popular Ecuadorian snack of hot chocolate with mozzarella threw him at first! Turns out to be extremely delicious- try it! ? And check out @quitourbanadventures if you're in town ?